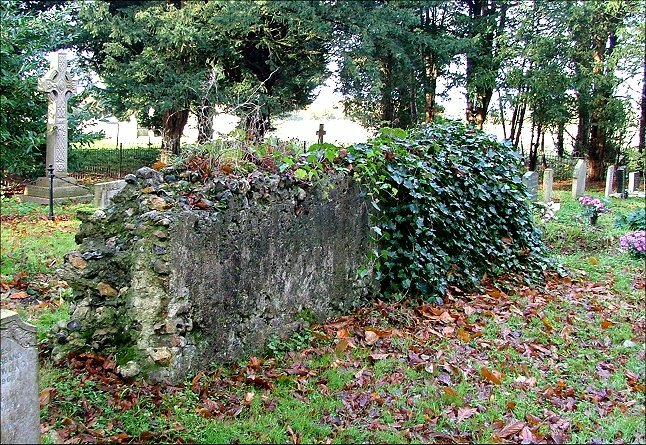 A low, ivy-covered wall is all that remains of this church, set in the graveyard of St Mary, thirty metres or so to the north-west. 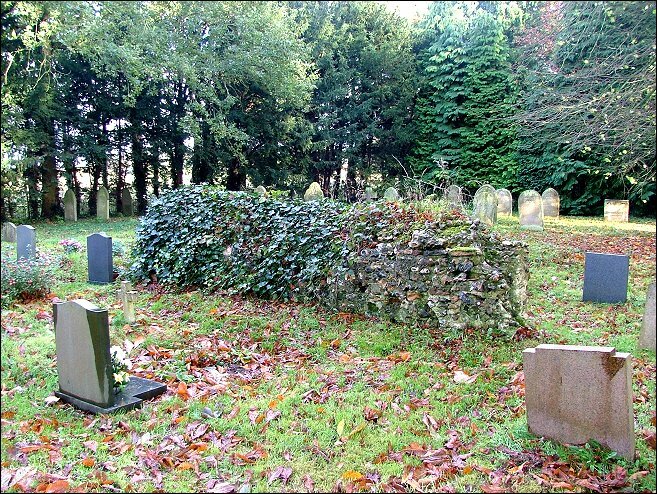 In effect, there are two graveyards, because a private roadway runs between the two churches, and this lends the ruin a proprietal air. Pevsner records a bequest for the battlements of the tower in 1537, but in fact the the church was abandoned barely ten years later, and was presumably dismantled for building materials. Pevsner describes this last remaining lump as part of the wall of the tower, but I think it is actually the east wall of the chancel; there is external rendering on the western face, and the splay of a window sill on the western. 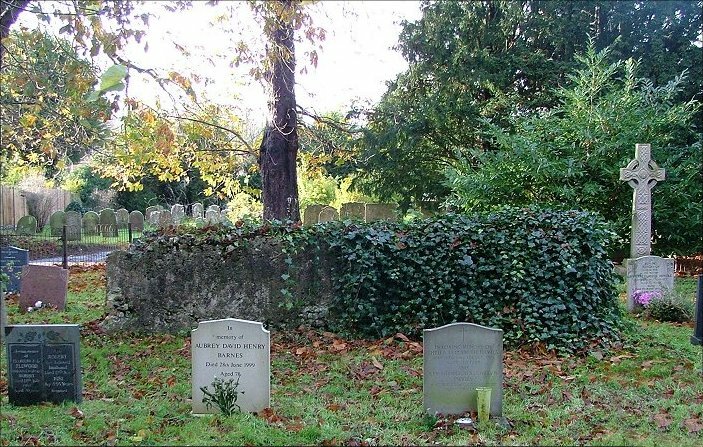 The two churches must have been very close together indeed.